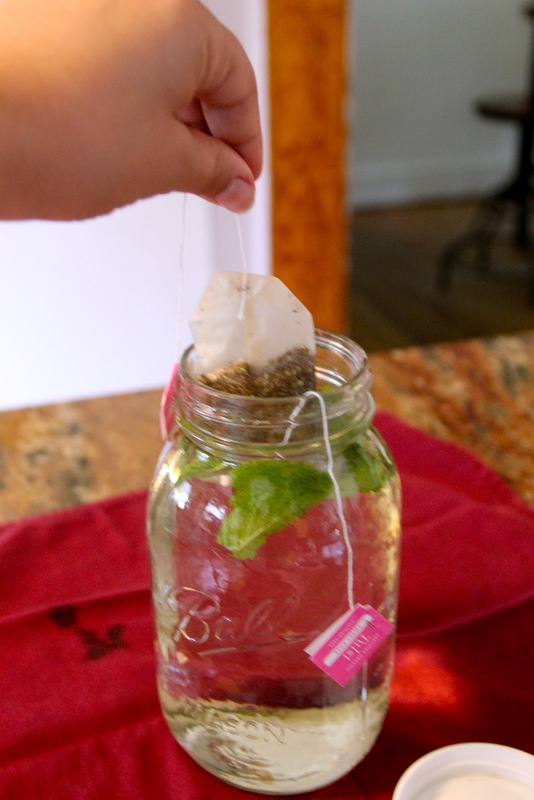 Bossy Italian Wife : Rose & Mint Sun Tea! I am a huge fan of tea. I love love love me some tea! But it's summer now....and while I may enjoy a cup of hot tea every now and then, I also am ready to put that tea on ice! That was when I remembered that years ago, when my sister-in-law used to live with us, she would make sun tea. I had never seen anyone do that before, and really I haven't seen it since--and I thought it was pretty cool. 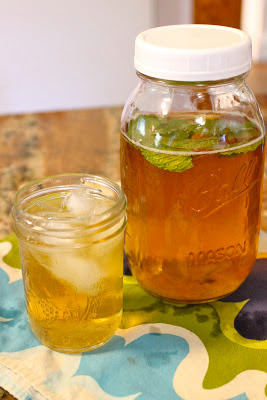 So, I thought to myself, why not make some sun tea and share my recipe with all of you!? 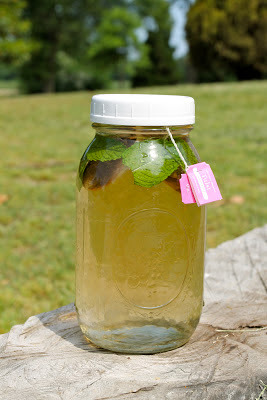 I really enjoyed making the sun tea, and I wanted to play with some flavors. I did a rose tea with some fresh mint leaves from my garden. I did a sweet variety because if it's one thing I like my iced tea to be it's SWEET! But feel free to omit to the sugar if you aren't the sweetened kind of iced tea drinker. The great thing about this tea is that is just tastes really crisp and pure. When you add boiling water to your tea, there is a certain amount of cooking that goes on there, ya know?! But with the sun slowly steeping this tea, I really think the clarity and goodness of the tea in its most pure form comes through. That is why it's worth trying. 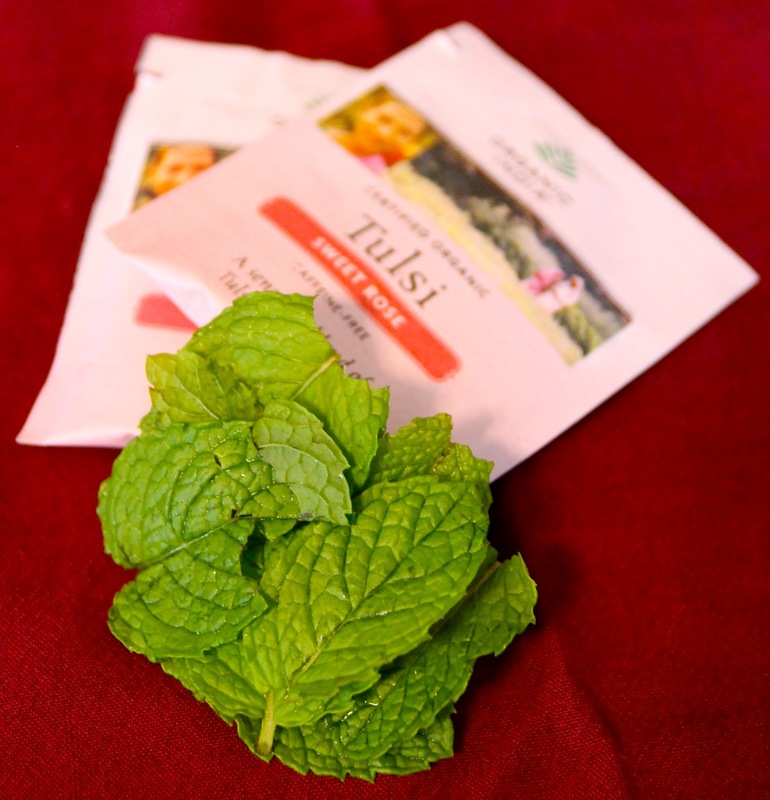 Two sweet rose tea bags and 10 mint leaves. I love my Ball Jars! Using a quart jar makes this easy. Now is the time to add your sugar, if you want to use sugar at all. I put in 1/3 cup. 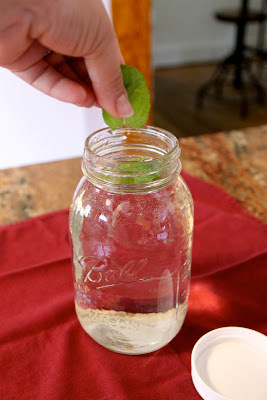 Fill the quart with water and shake it up to combine the sugar. And your tea bags, making sure to get them in the water good! Dunk and dunk 'em again. Secure the bags by screwing on a lid. I have these amazing plastic reusable lids, but you can use a regular lid too. Now leave it in the sun. All day. Direct sunlight if you can. And by the end of the day, you've got tea!!!! It was sweet, crisp, and delicious!!! My husband drank it up like a champ! Time: Prep, 5 minutes Sit, 8 hours | Makes 1 quart | Difficulty: EASY! 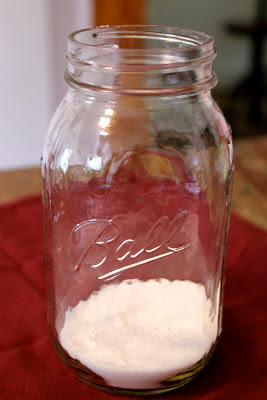 In a clean quart jar, place your sugar. Add your water and then shake to combine. Add mint leaves and tea bags, being conscious to submerge your tea bags fully. Screw the lid on to hold the tea bags in place. Place the jar in the direct sunlight on a HOT day (above 85 degrees is best) and allow it to steep for 8-10 hours. Serve over ice and enjoy within 3 days.